SepMate™ is an innovative new tube that enables consistent and hassle-free peripheral blood mononuclear cell (PBMC) isolation in just 15 minutes. The SepMate™ insert allows users to quickly layer blood over the density gradient medium (e.g. Ficoll- Paque®, Lymphoprep™, etc. ), and prevents the layers from mixing. Centrifugation is performed with the brake on, after which isolated PBMCs are simply poured off into a fresh tube. Read a SepMate™ review on Biocompare and a blog post on a study that compared Three Isolation Techniques for Human Peripheral Blood Mononuclear Cells. This technical video provides a simple procedure for isolating peripheral blood mononuclear cells (PBMCs) from whole blood using SepMate™. It also demonstrates how to combine SepMate™ with RosetteSep™ to isolate highly purified cell subsets in just 25 minutes. 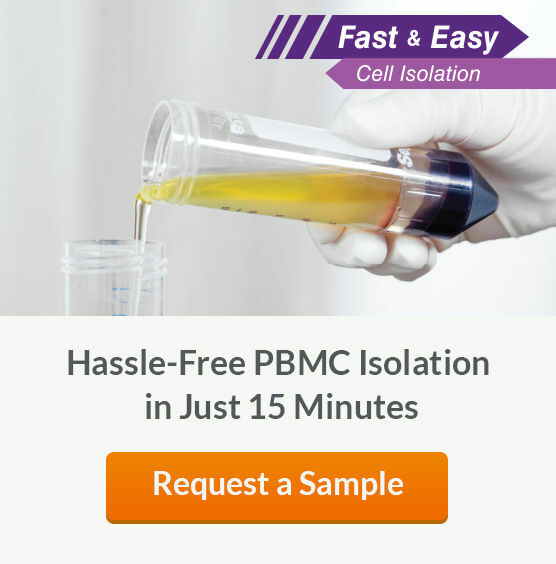 Why Use SepMate™ PBMC Isolation Tubes? EASY. Say goodbye to slow and laborious sample layering over the density gradient medium. FAST. Centrifuge for just 10 minutes with the brake on and simply pour off PBMCs into a new tube. CONSISTENT. Minimize variability between users. VERSATILE. 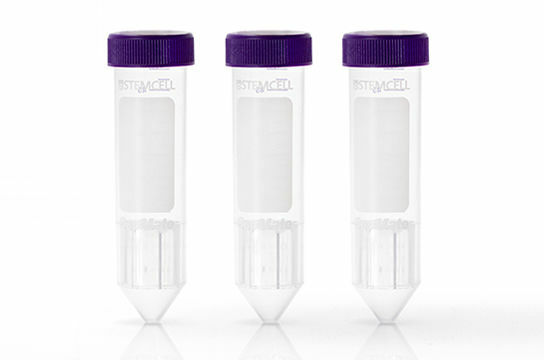 Can be combined with RosetteSep™ to isolate specific cell subsets. SepMate™ is manufactured following current Good Manufacturing Practices (cGMP) and tubes are sterilized by irradiation. SepMate™ is registered as an In Vitro Diagnostic (IVD) device in Australia, Canada, Europe and the United States for the isolation of mononuclear cells from whole blood or bone marrow by density gradient centrifugation. In China SepMate™ is considered a non-medical device by the China Food and Drug Administration (CFDA), and should therefore be used as general laboratory equipment. The end user is responsible for determining whether the product is suitable for their specific application. In regions outside of Australia, Canada, China, Europe and the United States SepMate™ is available as a Research Use Only (RUO) product. STEMCELL operates a Quality Management System which complies with the requirements of ISO 13485:2003. Read a review on Biocompare. The NK Cell Cytoxicity Case Study discusses a publication from Dr. Ajay Jain’s lab at the University of Maryland School of Medicine, which used the RosetteSep™ and SepMate™ system to reduce NK cell isolation time from four hours to a single hour for a 450 mL unit of blood. 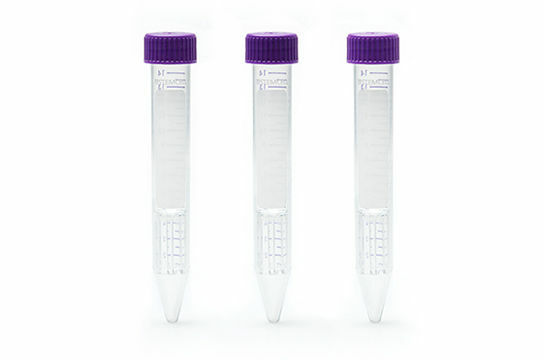 To isolate purified cell subsets from whole blood, simply incubate your sample with the appropriate RosetteSep™ cocktail for 10 minutes prior to pipetting onto density medium in a SepMate™ tube. During centrifugation unwanted leukocytes pellet along with red blood cells, leaving untouched and highly purified target cells at the interface between the plasma and the density gradient medium above the insert. After centrifugation, simply pour highly purified target cells into a new tube. No columns or magnets are necessary, and minimal training is required. Just incubate, spin, and pour off purified cells. Elliott G et al. (2015) Intermediate DNA methylation is a conserved signature of genome regulation. Nat Commun 6: 6363. Wetzel-Smith MK et al. (2014) A rare mutation in UNC5C predisposes to late-onset Alzheimer’s disease and increases neuronal cell death. Nat Med 20(12): 1452–1457. Tyznik AJ et al. (2014) Distinct requirements for activation of NKT and NK cells during viral infection. J Immunol 192(8): 3676–85. Odendall C et al. (2014) Diverse intracellular pathogens activate type III interferon expression from peroxisomes. Nat Immunol 15(8): 717–726. So EC et al. (2013) A high throughput method for enrichment of natural killer cells and lymphocytes and assessment of in vitro cytotoxicity. J Immunol Methods 394(1-2): 40–8.